Would you like to retire early? Imagine a life where working was optional because you had enough money to support your everyday living expenses. Escaping the rat race allows you to take control of your time. Time spent is time you will never get back, so why spend it working for someone else when you can spend it doing the things you love? 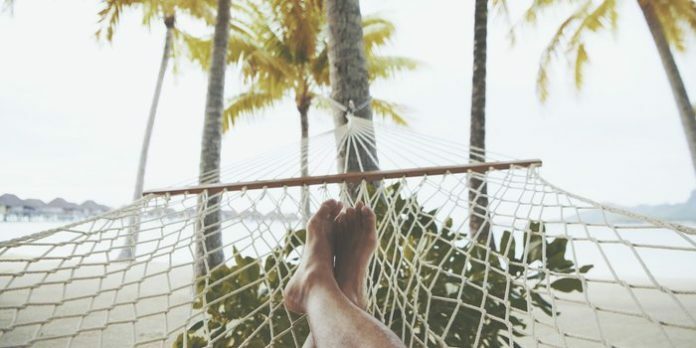 Now, being able to retire early doesn’t require you to win the lottery or receive a big inheritance, and it isn’t some get-rich-quick scheme. This is something that many people have been able to achieve because, truth be told, it’s just simple math: What you earn minus what you spend is equal to the gap between you and financial independence. Your goal should be to optimize that ratio. Here are four tried-and-true steps to take if you want to live on your own terms. This is probably one that you hear pretty often and seems like an obvious solution — and that’s because it is! Think about it — the less you spend, the more money you can invest or save. Plus, you will become accustomed to a more affordable lifestyle, making it easier to match when you stop working. Cut unnecessary expenses. Do you have recurring subscriptions that you pay for like cable TV, a gym membership you rarely use or an online shopping membership? Do you absolutely need those things? If not, cut them out. Spend less on housing. Maybe you can downsize your living situation or maybe you don’t need that modern apartment in an exclusive skyrise. Try lowering your housing expenses by moving to a more affordable apartment or sharing your mortgage by getting some roommates. You’d be surprised how much you can save each month with these changes. Have a per-meal food budget. Going out to eat can rack up expenses very quickly if you aren’t careful. Even making your own meals can get out of control if you don’t have an idea of how much you are spending. Travel for free. It’s no secret that traveling can be expensive, but it doesn’t have to be. Get a travel credit card (only if you’re good with credit cards) and make all your purchases with that card so you can rack up the points. Then, you can redeem those points for flights and hotels, and it’ll (practically) be like you’re traveling for free! (Bonus tip: Travel during off-seasons, not the summer or holidays, to save even more. After cutting your expenses down, you’ll have a lot more money available. Put that money in a high-interest savings account and it can pay for your expenses later down the line, freeing you from the burden of a 9-to-5 job. Here’s how it works: If you save 1 percent of your income, it will take you 99 years to have enough saved to pay for one year of expenses. However, saving 10 percent of your income will take you nine years, and saving 50 percent will only take you one year! So, save as much as you can to reach a point where working is optional. To make it easier, there are so many great tools nowadays that help you save money. 3. Surround yourself with like-minded people. You become like those you spend most of your time with. If your friends like to go out, spend money, and buy things they can’t afford, it’s likely that you will get sucked into that lifestyle as well. It’s the fear of missing out, right? Choose wisely, and your friends will help, not hinder, you. Spending time with people who share your values and have similar goals will help anchor you down and keep you on your path to financial independence. 4. Have a side hustle. Spending less and saving money is good, but making more money is great! You can ask for a raise at your current job, but why not add a second source of income, too? Look at your talents and your interests. Is there something you can do that most people can’t? If so, find a way to monetize that so you can make extra cash on the side. It doesn’t have to be anything extreme if you know how to juggle while paragliding — great! But, it can be as simple as teaching others a second language that you know, helping people fix their computers, or starting your own podcast. You don’t need to be an expert either. The best thing you can do for yourself right now is to start. Begin saving, spending less, hanging out with the right people and a side hustle now. You don’t have to have everything figured out because you need to start somewhere. The sooner you get started, the further ahead you will be five years from now. You’ll be that much closer to your goal of financial independence and you’ll be that much closer to the life of your dreams.